With an estimated one in five of the Irish workforce receiving their salary through a payroll system by Intelligo, the company is an integral part of Ireland’s financial services. Its Megapay platform provides both convenience and cost benefits to clients by offering a standardised solution that can be easily adopted, with additional tailored aspects where needed. “We are passionate about payroll!” says Padraig Gill, Co-Founder and Director of Intelligo. “We have a versatile and highly configurable enterprise level payroll system. It supports highly complex payroll requirements from a standard payroll platform on a single codebase – a Commercial Off The Shelf (COTS) system. Intelligo, based in Bray, was founded in 1996 and has attracted an impressive array of international blue chip clients, including four of the ‘Big Four’ accountancy firms, as well as GlaxoSmithKline, Wincor Nixdorf, BT, and many more. Its Megapay software enables companies to use a range of payment and financial reporting services in-house, as well as allowing employees to access payslips and P60s via PCs, tablets or mobiles. The company also offers a managed payroll service whereby it carries out payment and reporting activities on behalf of the client. And its MegaHR system provides a full human resources platform where workplace activities such as recruitment, holidays and training can be managed as a separate function or integrated into the Megapay system. “The cost of our payroll software and services is determined by company size and the modules required,” says Gill. “This means that our clients decide what they want to pay for, resulting in total control on their HR and payroll costs and savings both now and in the future. We cover all aspects of implementation, such as data migration and customisation, and we provide training and excellent customer services. The proven success of Intelligo in Ireland and demand for its products in the UK spurred the company into creating Megapay UK, a payroll system that is aligned to the British tax system, which is accredited by HM Revenue & Customs. Increasing its footprint in the UK market has helped with the company’s growth, resulting in a 14 per cent rise in revenue in 2018, and it was named ‘Payroll Service Provider of the Year 2018’ for the UK and Ireland at the CIPP’s (Chartered Institute of Payroll Professionals) Annual Excellence Awards. 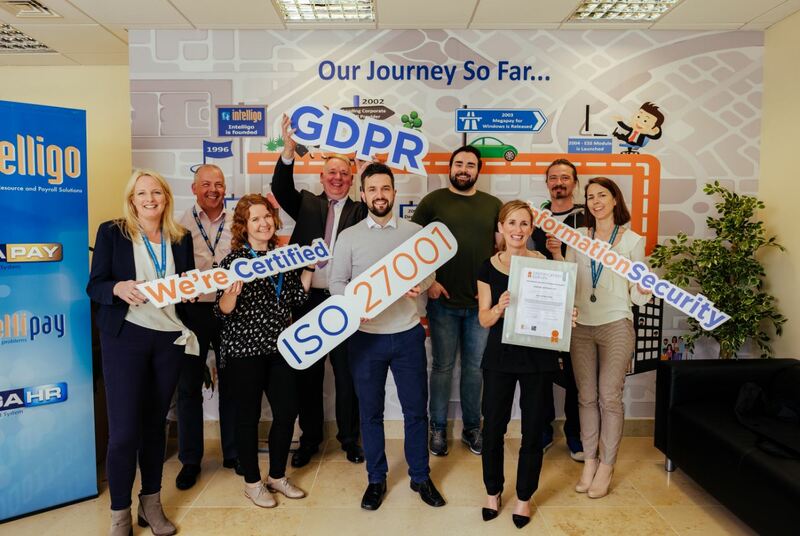 Intelligo has also achieved ISO 27001 specification for information security management. Intelligo has been working with Enterprise Ireland since 2015. 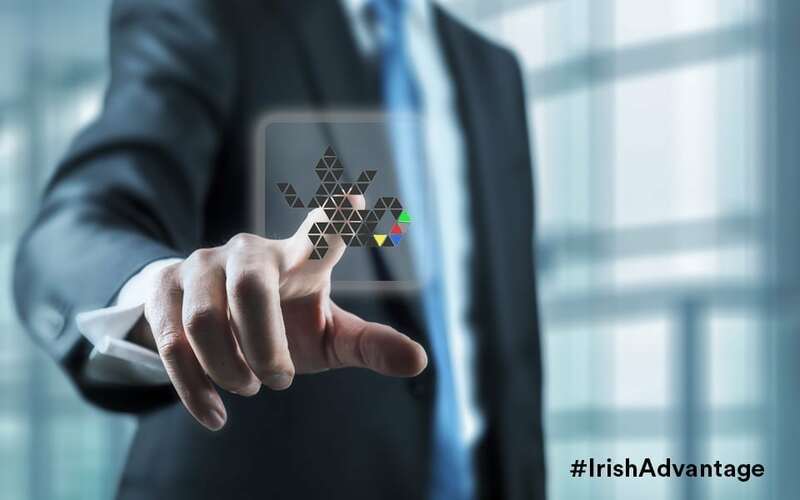 The Irish trade and innovation agency has assisted the company with its growth strategy, and offers advice and mentoring programmes to fintech companies. Jack Finucane-Clarke, Market Advisor for financial services at Enterprise Ireland, says: “Intelligo has the expertise and customer base to mirror their success from the Irish market in the UK. The recognition given to them by the CIPP is a great endorsement of the work that they have done up until now.